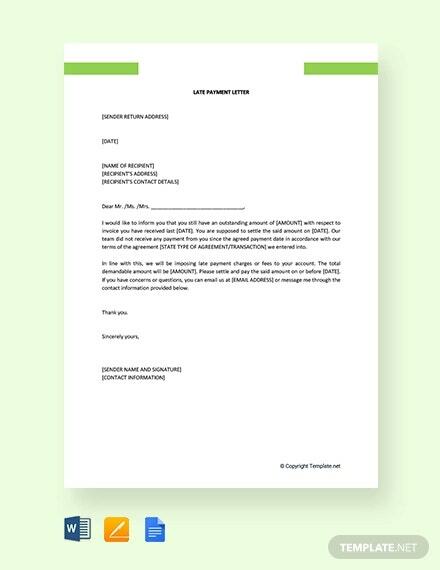 A payment letter is a type of legal document that records the payment transaction between two parties. It is usually about the payment of a particular service or product. This is usually released after the service has been done or perhaps a product has been purchased. 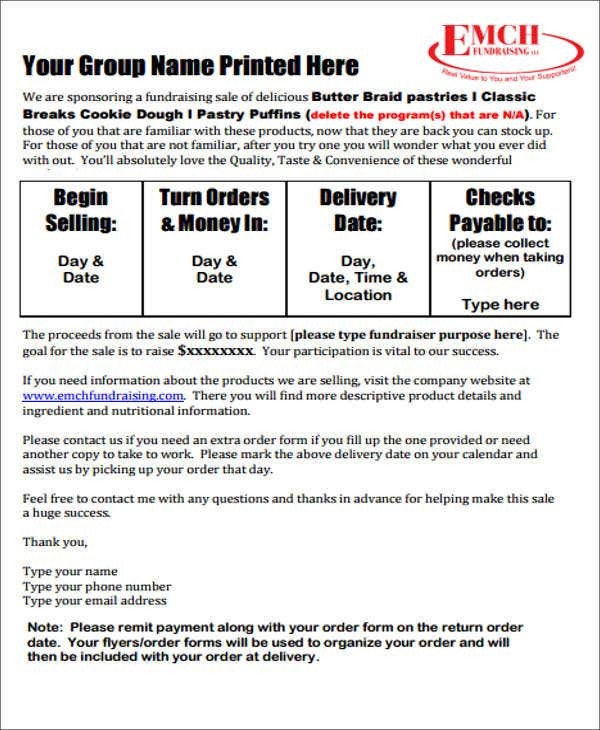 These payment sample letter forms can provide you useful ideas on your letter draft. It contains clean and formal contents that are also easy to modify and use. 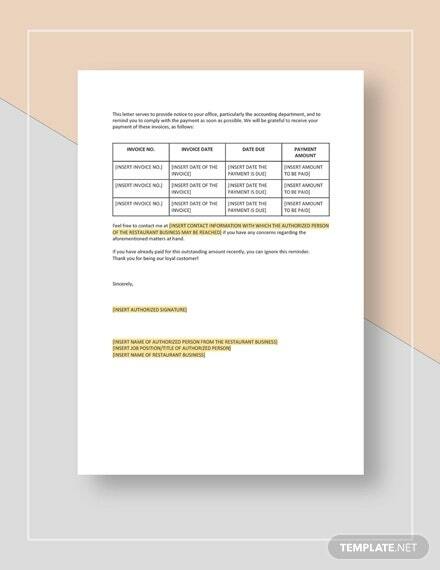 In writing a payment letter, you must know what contents to include and how to organize them in writing. 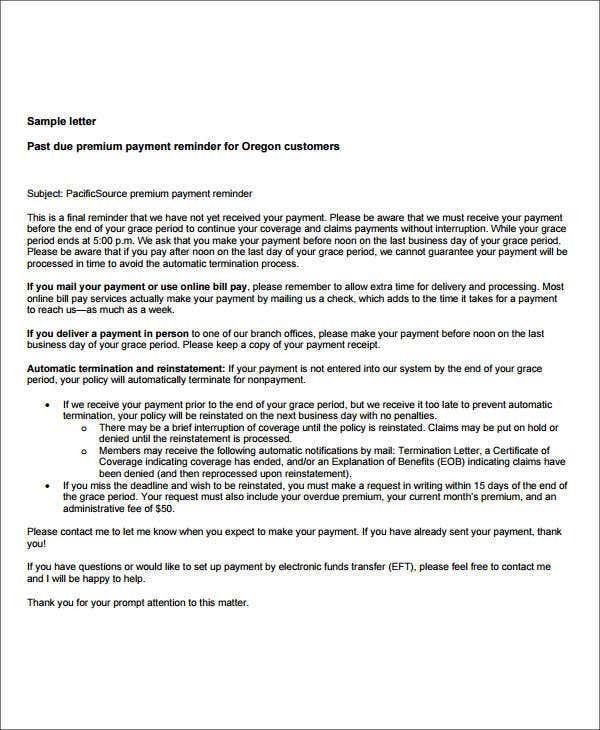 Here are some tips on how to write a payment letter and what elements do you need to consider. 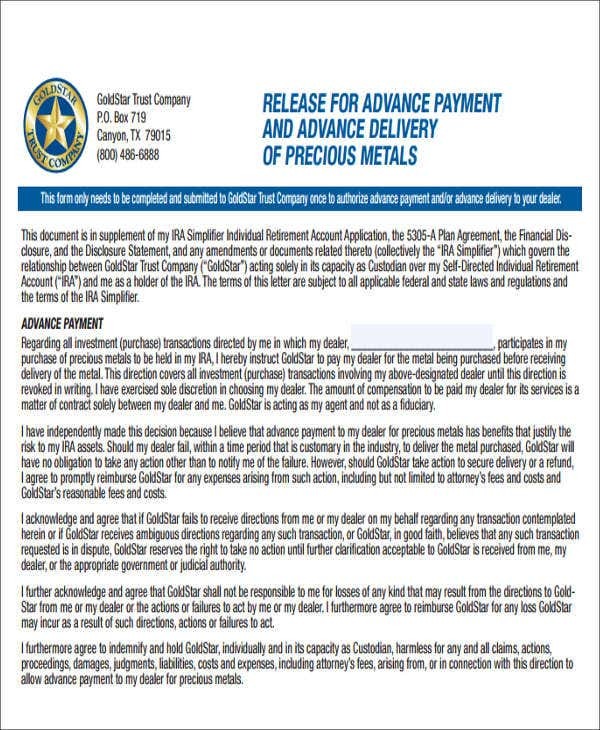 Subject of the letter. 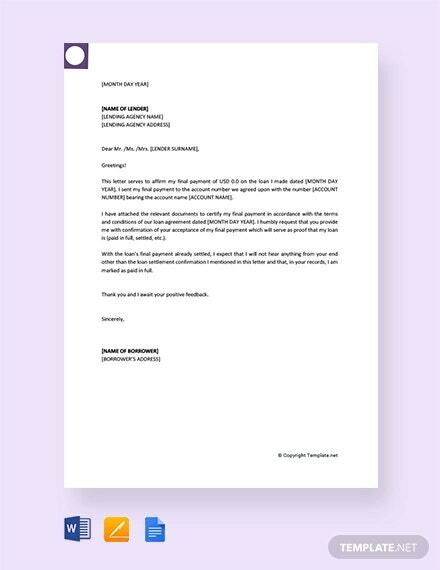 This is the title of the letter in which it highlights the purpose of the letter. Date. 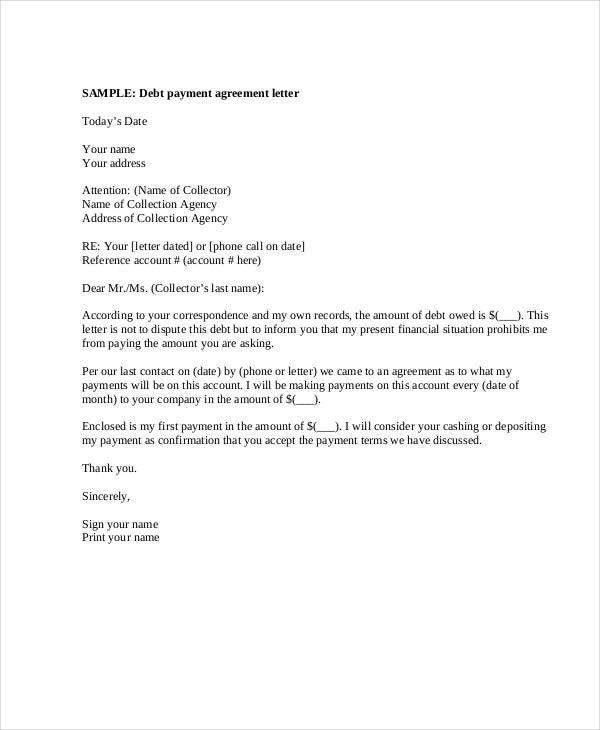 It is essential to include this information on every letter as this will help keep track of the transaction’s record. 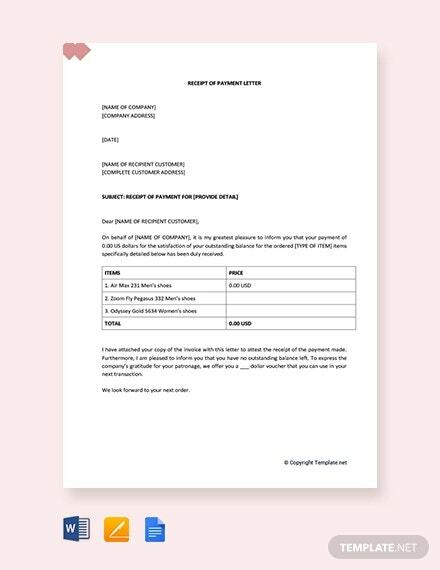 The debtor’s account number. 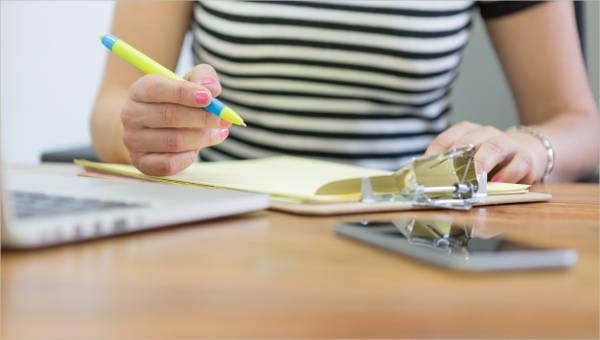 This information will be helpful to the receiver of the letter or the debtor, especially when it wants to check on its payment records and updates. 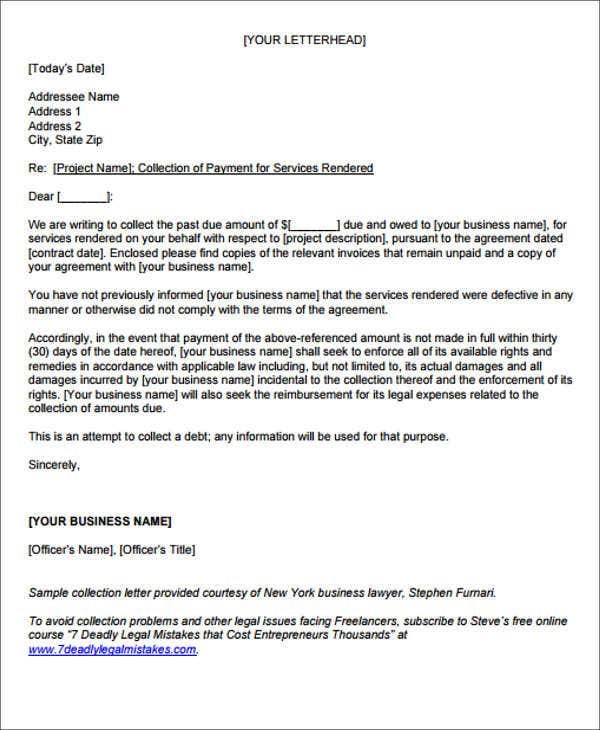 This will most likely serve as a reference to the accounting team that takes care of the transaction or accounting records. Main body. 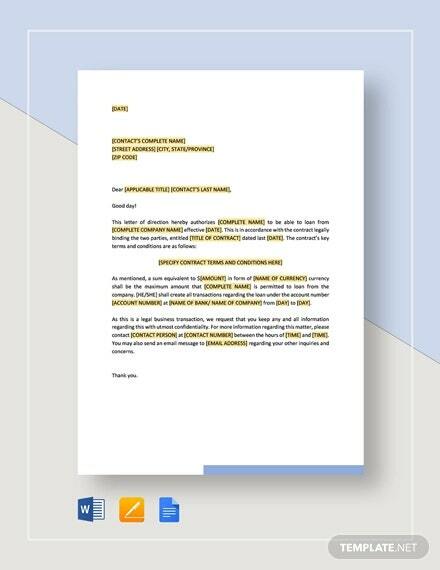 This indicates the detailed purpose of the letter. 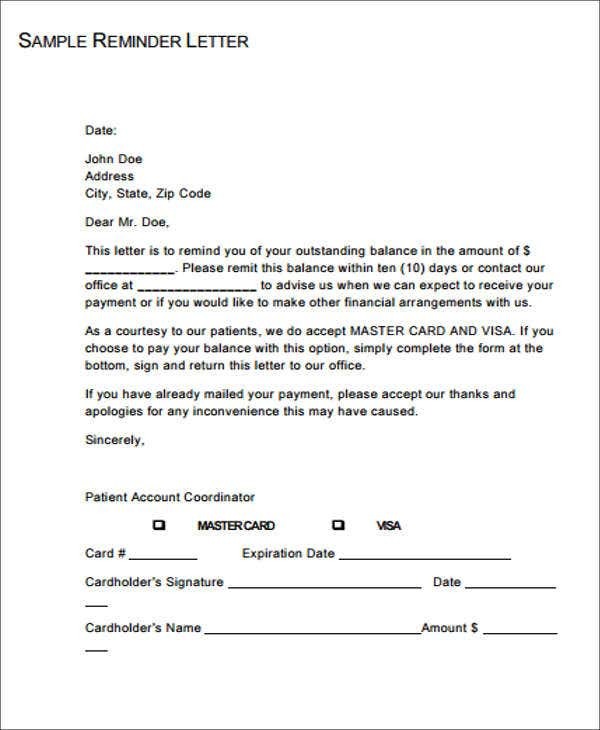 It discusses the reminder of the payment, the due amount to be paid, and the processes that needs to be done in order to go through with the payment. It also talks about the confirmation of the payment transaction. 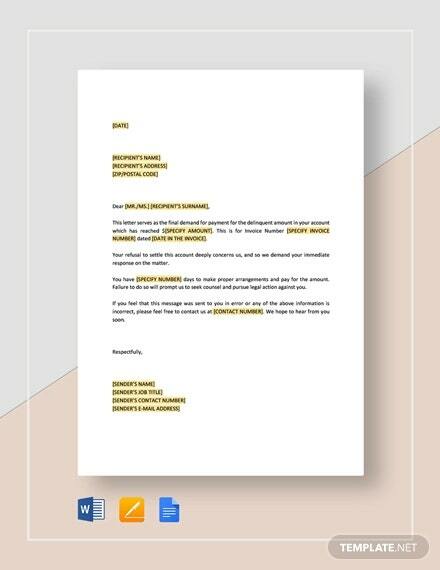 For more payment letter templates, you can check out more Payment Reminder Letters from our website. 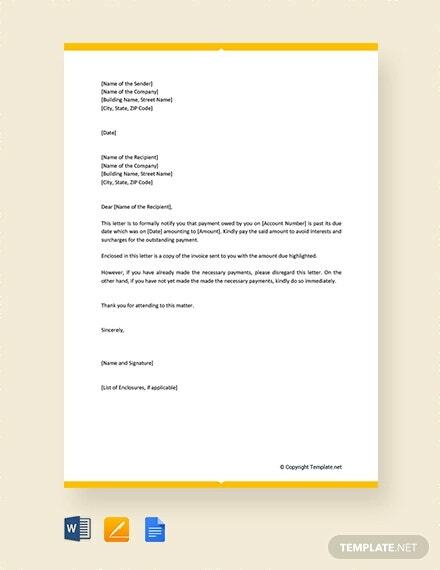 The letter should be short, direct, and easy to understand. 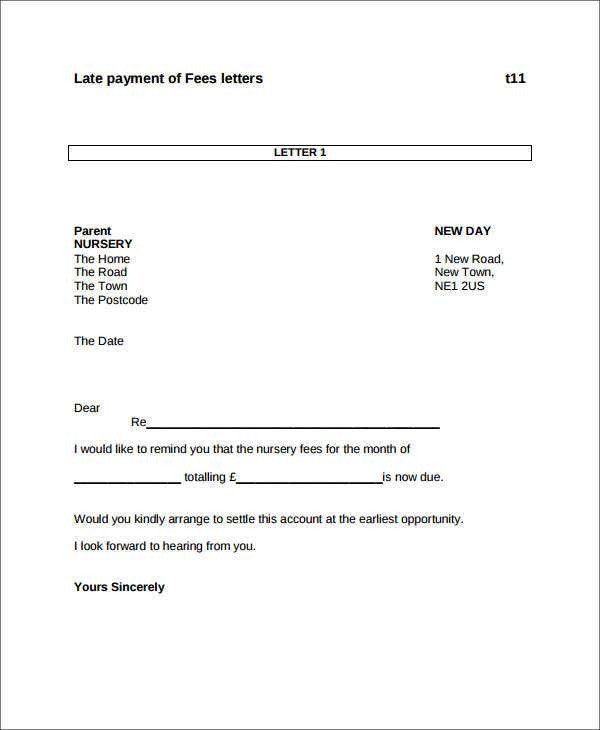 Since the aim of a payment letter is for a more direct communication, it is important to use words that are easier to understand. 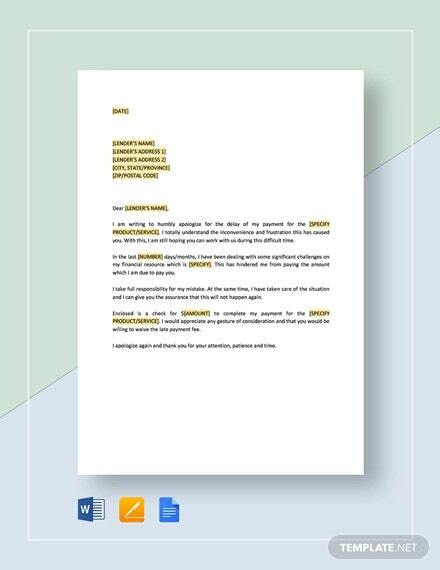 As the structure of the letter may be simple, do not forget to write the important information that the receiver needs to know. If you have to detail it so that it could be easier to understand, then do so. 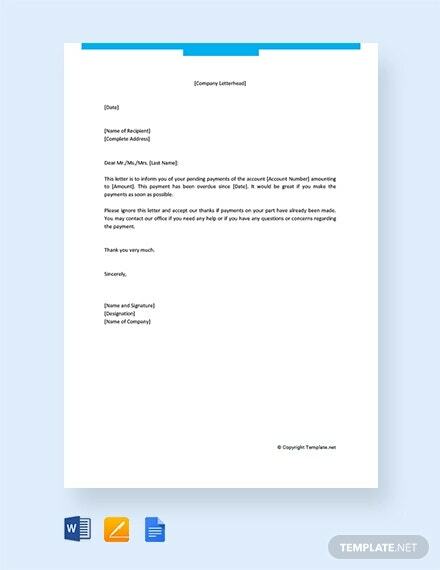 For more legal and any other payment letter template samples, you might want to see more Pending Payment Letter Templates on our pages.